You are here: Home / FAQ / Can I Get A DUI on Private Property? The law on the issue of whether you can get a DUI on private property is no longer what it used to be. In the past, it was not illegal to drink and drive on certain areas designated as private property. The modern trend, however, no longer distinguishes between public and private roadways for these purposes. 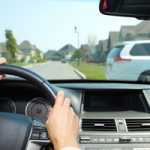 Furthermore, the issue often arises in situations where a person parked on private property. Leaving the case to depend on whether or not the keys were in the ignition. Also, whether the driver was in a actual physical control of the vehicle. If you have been arrested for DUI while on private property, check your local laws for more information and be sure to consult with an experienced attorney for help in defending your DUI case. It is not safe to assume that just because your on private property, your immune from DUI arrest or conviction. In fact, there are very few places left where a person can legally drive drunk anywhere.